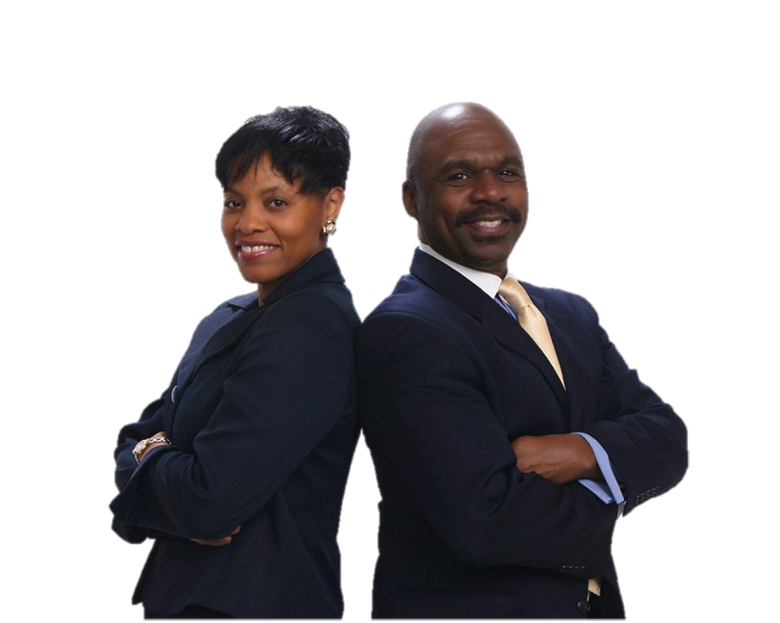 After having tried several MLM companies without success and failed with their own telecommunication business, Ray and Deatra Davis not only needed an extra income, but an opportunity to live life on their own terms, build a financial legacy for their children and grandchildren and make a difference in people’s lives. Ray and Dee Davis live in Fort Wayne, Indiana. They have four children and several grandchildren. For more than 17 years, Ray worked in the court system as a juvenile probation officer before leaving to pursue his own telecommunication business in October, 2011. After two years, his business failed, and he began to pursue online business opportunities. “It was an emotional time for me because I had walked away from a secure income and our savings was depleting,” said Ray. Dee currently works full-time as a VP in the Insurance and Financial Services Industry. “While some would say that my career path has been ideal, like most of us working in Corporate America, I desired more than what a job can provide. I wanted to be in a position to work on my own terms, get paid my worth and make a difference in peoples’ lives,” Dee explains. The Davis’ were first introduced to Network Marketing 12 years ago; they saw it as a way to create additional income, but after working hard to advance in three other MLM companies, they had mediocre success that couldn’t be duplicated by their team. The dream of success with MLM appeared to be a fallacy until they experienced TLC. Dee researched the products and gave them the thumbs up, and Ray evaluated the compensation plan. “If my wife is going to do this business, I need to know what kind of money is in it,” added Ray. 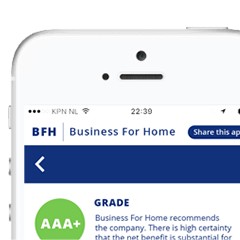 He was blown away by the price points in the plan and the ability to earn handsome commissions for retail sales and team building. They understood positioning with a debt-free company and they also wanted to make sure that others who joined them had an opportunity to succeed as well. 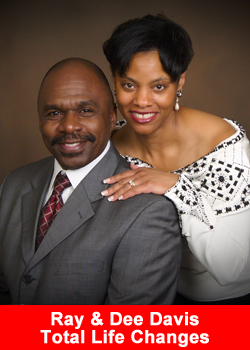 Ray and Deatra Davis signed with Total Life Changes without even trying the products. After meeting with James Dentley and Kenny Lloyd in a Super Saturday in Chicago, they learned that they were the only distributors in the entire state of Indiana and that represented a golden opportunity to build a sustainable business. They had several launch calls to invite people to hear about TLC and a lot of people joined them within 48 hours. In two years, Ray and Dee’s organization grew to over 15,000 distributors and customers. In July, 2015 they were recognized for earning $100,000 with the company. “It’s never about us, it’s about our team. No success in Network Marketing is possible without the collective efforts of a team. We truly believe that if you help enough people get what they want, you will get everything you want. When we got started with TLC, we invested a great deal of time in training our team members of the do’s and don’ts of network marketing and the importance of following a system. As a result, we watched several of our team members emerge into leaders and get promotions,” added Deatra Davis. “We have one of the most diverse teams in TLC that includes African Americans, Caucasians, Hispanics, Asians and a large group of Amish representatives. Our team spans the globe with representation in the US, Canada, UK, Taiwan, Caribbean Islands, and Nigeria. 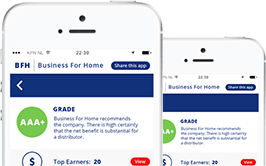 While we make no income claims, TLC gives the average everyday person the opportunity to start with a little money and go on to make a substantial income. For example, where else can a person who was homeless and sleeping on his best friend’s living room floor, with little to no prior MLM experience, borrow $50 to get started and earn $1,000 within his first day. That’s the story of one of our first business partners, Regional Director Austin Freeman, who had the privilege of walking the stage along with us to pick up his $100,000 recognition check with TLC. Or, the story of another one of our team members, ex-factory worker, National Marketing Director Phillip Birchfield, who also joined us on the same stage to receive his $100,000 recognition check. Executive Director Jackie Matikas (a self-employed Tattoo Artist), made over $25,000 within her first 60 days and was the #1 retailer in TLC in 2015. There are so many other success stories of our team members who said ‘Yes’ to TLC and joined us on this incredible journey,” summarizes Ray Davis. Benefits are not only reflected financially, but also in their health; Ray lost 8 pounds within 8 days of using the Iaso Tea, he sleeps better and has more energy from the NutraBurst. Dee suffered from seasonal allergies and chronic constipation most of her adult life. Because of Iaso Tea, NutraBurst and Delgada Coffee, she hasn’t needed any allergy medications in 2 years, and no longer suffers from constipation. She also uses the full line of skin care products and people are amazed at how youthful she looks. “We have huge respect for the TLC Leadership. The company has a strong “representatives come first” culture, led by Founder and CEO Jack Fallon, COO John Licari, and VP of North American Sales, Kenny E. Lloyd. Those in the most senior positions, Executive Ambassadors Greg and Lenika Scott, Chante Lloyd, and Twiler Portis have fostered a family atmosphere among the representatives and lead from the position of love and respect. On our run to National Director, we reached out to the Scott’s and received that push of wisdom that took us over top. We are so thankful to be associated with a solid company and solid leadership. We want to thank the Executive Corporate Staff, Rosa Armenta, Scott Bania, Mari Jo Serdoner, our sponsor Leon Stanton, Jr. and James Dentley for their support. Our next goal is to retire Dee from her corporate job, so she can pursue the launch of her health and wellness blog. We also want to create 100 six-figure income earners within the next 24 to 36 months, continue to brand TLC to make it a household name and establish a community based program for underprivileged families,” concludes the Davis’.